At the time of writing, Union Douala is leading the Cameroonian MTN Elite One 2012. In this post, I will present Charles Edoa Nga, arguably the most interesting attacker at the club. Edoa Nga is born 17.05.1990. At 22, after three and a half seasons at top level of Cameroonian football, I think he is ready for a new challenge in a bigger league. My first record of Edoa Nga is from September 2006 and October 2006. The sixteen year old youngster was playing for the Cameroon U-17 national football team against the Central African Republic in two qualifiers for the 2007 African U-17 Championship. I am not sure which club Edoa Nga represented at the time. In 2007-2008, Edoa Nga was playing for Cintra FC de Yaoundé at third level of Cameroonian football. 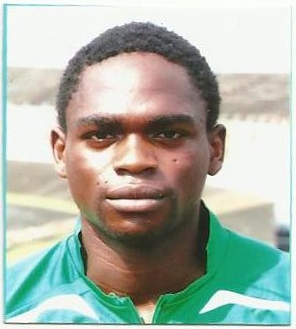 In May 2008, towards the end of the season, Edoa Nga was named in the squad of the Cameroon U-20 national football team. Edoa Nga joined Union Douala for the MTN Elite One 2008-2009. He scored two goals during his first season at top level, winning a silver medal. He also gained experience from playing in the 2009 CAF Confederations Cup. It is almost impossible to find information about the performances of Edoa Nga during the MTN Elite One 2009-2010. Union Douala became number seven in the league. In December 2010, he was picked for the Cameroon B national football team. Edoa Nga scored five goals during the MTN Elite One 2010-2011, enough to make him top scorer at the club. Edoa Nga won a bronze medal as Union Douala ended the season as number three. He continued to play with with the Cameroon B national football team throughout the season. Edoa Nga has started the current season, the MTN Elite One 2012, at a bright note. At the time of writing, he has scored at least four goals during the first 16 rounds. It seems likely that he has scored one more. Edoa Nga has a great understanding with playmaker Joël Moise Babanda (born 12.01.1980). Edoa Nga is can play on both flanks or as a striker. I’ve always had a soft spot for this player, who looks quite powerful, is rather quick and has a direct style of play. He is lively and mobile and difficult to defend against. Previously, Edoa Nga has been known for inconsistency, performing brilliantly one day and being almost invisible the next. However, his current form indicates that Edoa Nga has grown as a player and he is widely considered as one of the most dangerous attackers in the league. In February and March 2012, Edoa Nga gained further experience through Union Douala’s participation in the 2012 CAF Confederations Cup. Edoa Nga should be able to perform well in a mid-level European league. He is a quite experienced performer at the local scene and his career is definitely pointing upwards. Playing professionally abroad should be a natural next step. His name is sometimes written “Edoa Ngah”. The picture of Edoa Nga was found on http://www.camer-sport.be.